It's been awhile since I had a good and delicious homemade burger. It may sound silly but I actually have been thinking of it since I got up this morning. To satisfy my cravings, I made some burgers and baked fries for dinner. 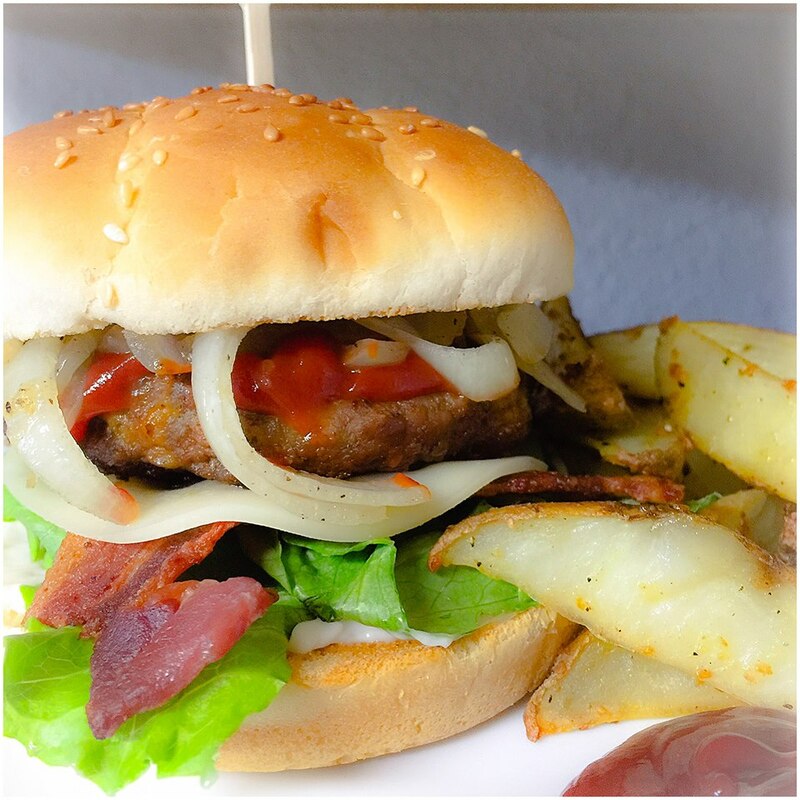 This burger will definitely satiate hunger! It's loaded with mayonnaise, lettuce, bacon, provolone cheese, ketchup, sweet onion, and mustard....paired with baked fries! What do you have for dinner? Your burger looks better than the ones in food chain sis, yum!